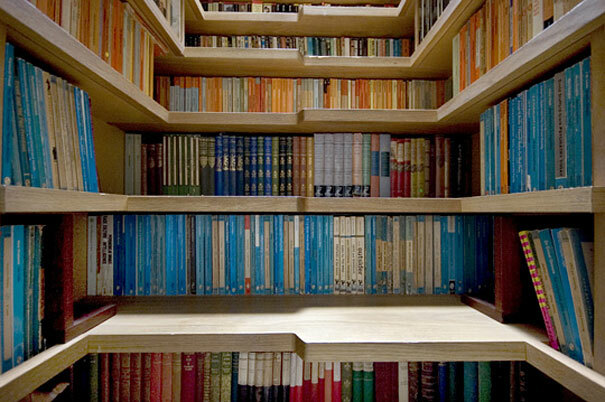 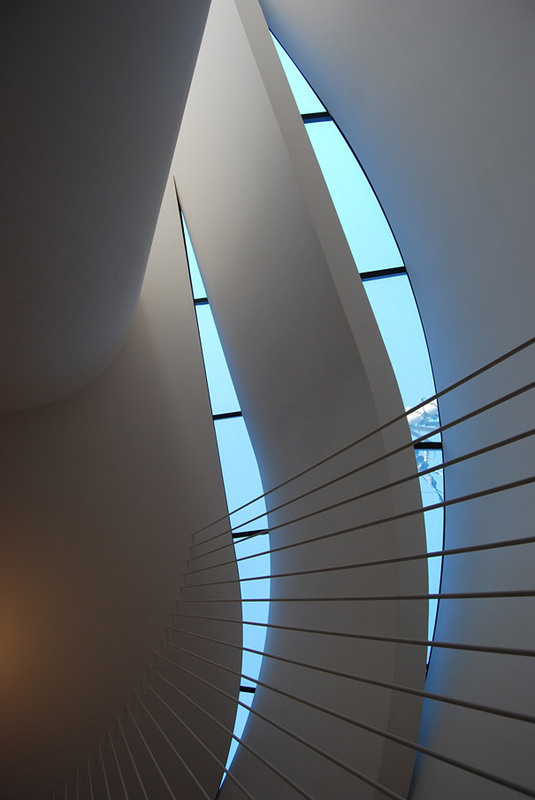 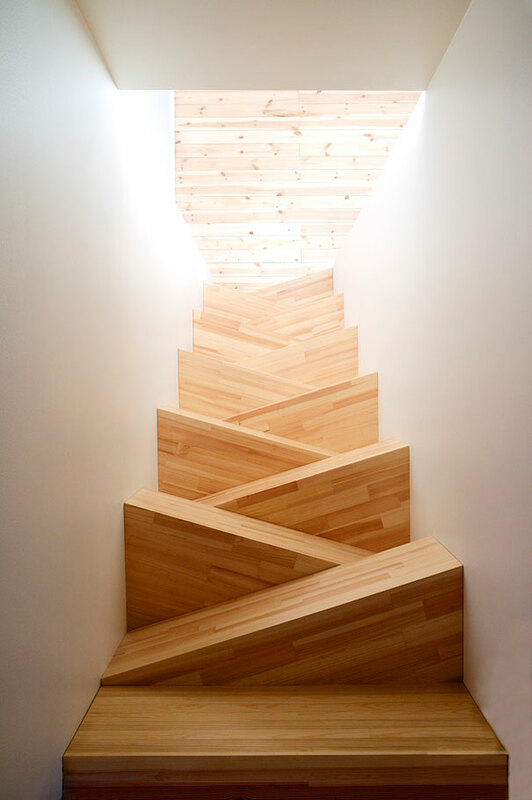 When we Â walk into a building with more than one floor, we never really give a second thought to the stairs. 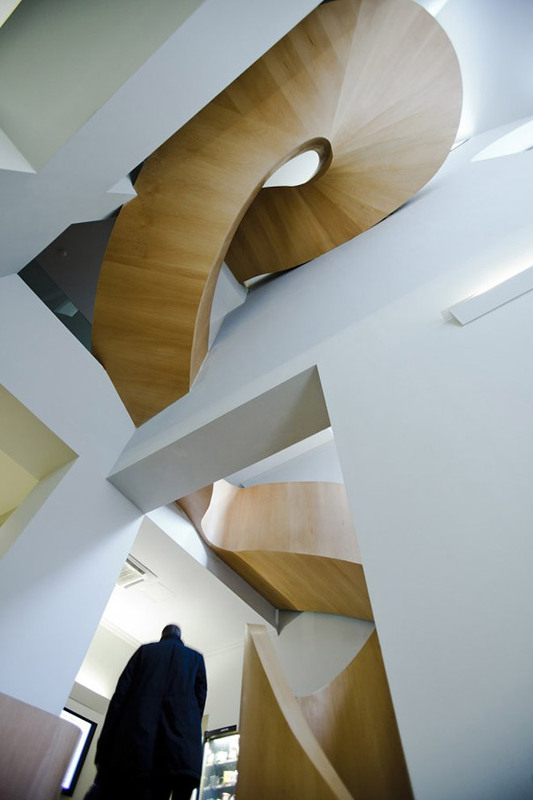 Let’s face it stairs aren’t the most exciting feature of a building, they’re usually pretty boring with their design and structure. 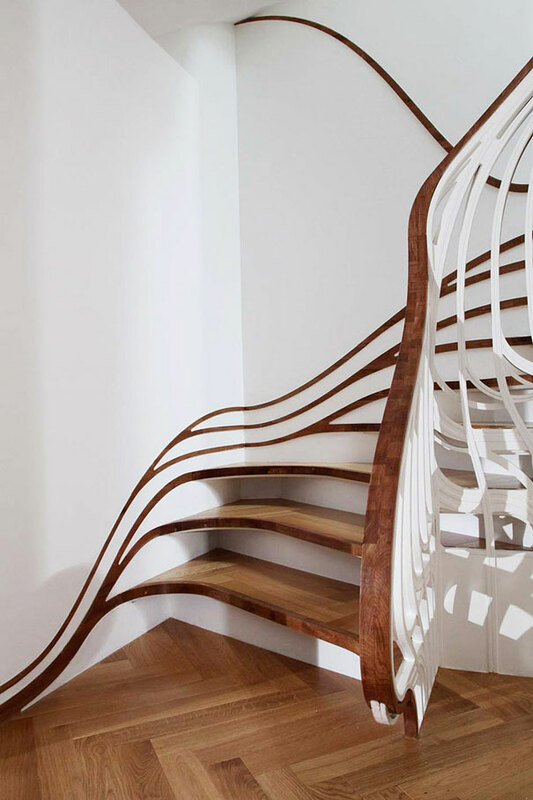 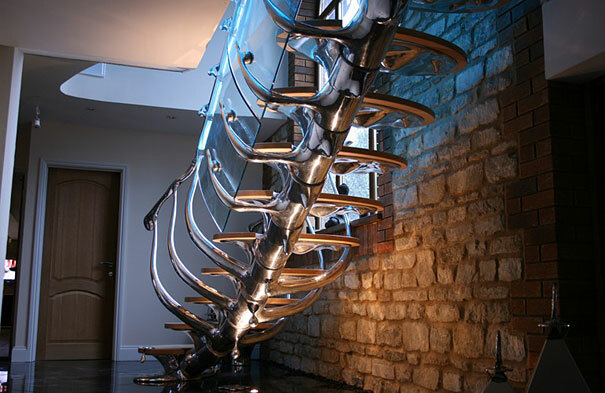 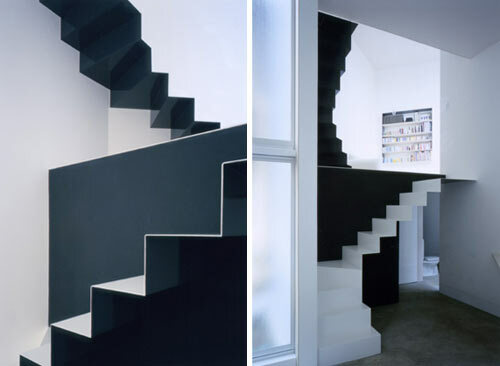 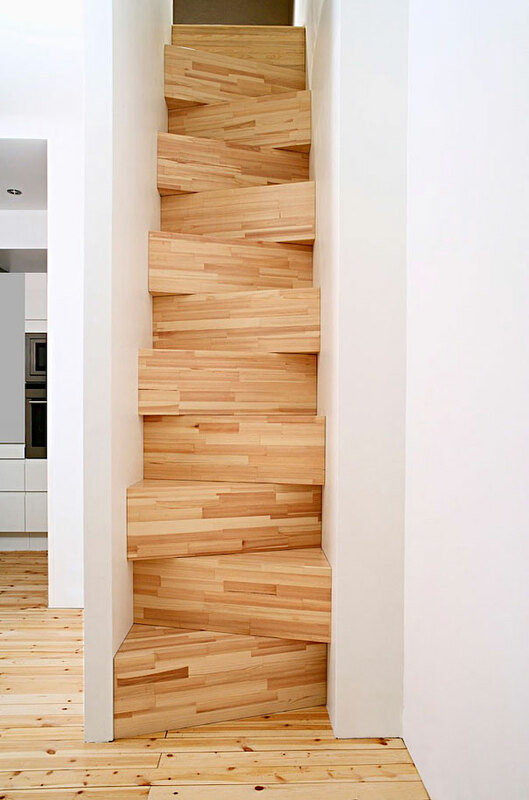 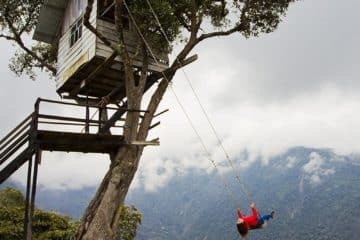 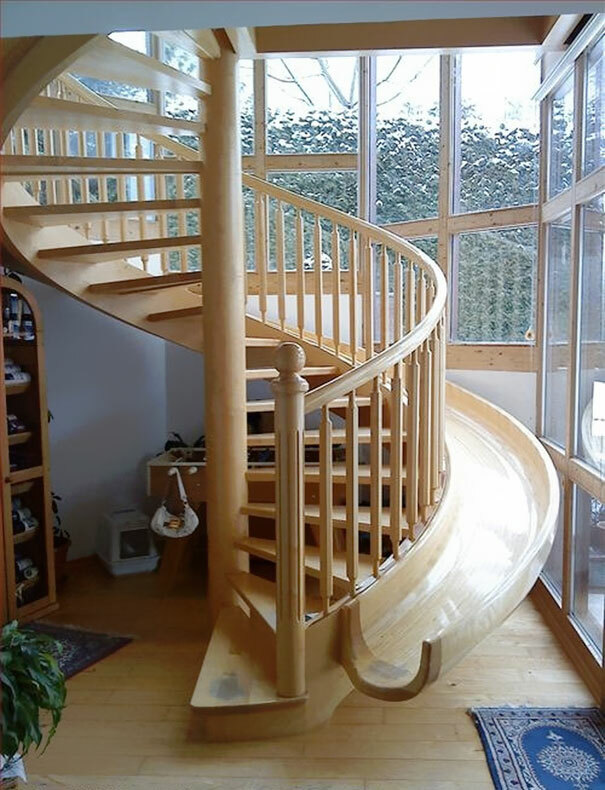 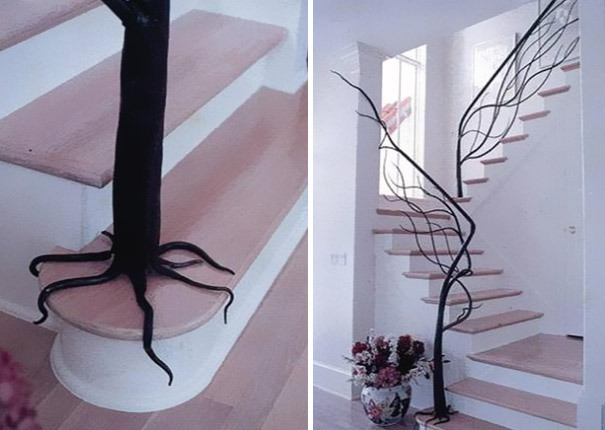 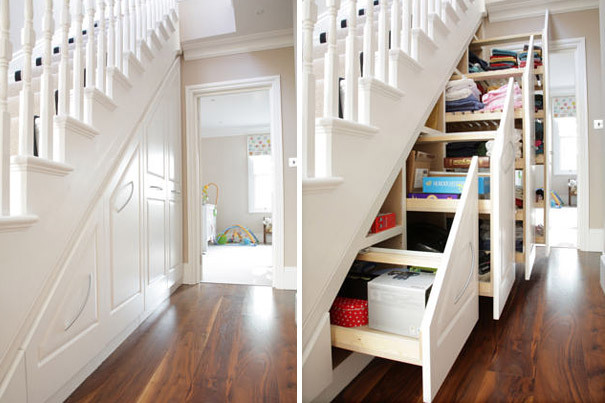 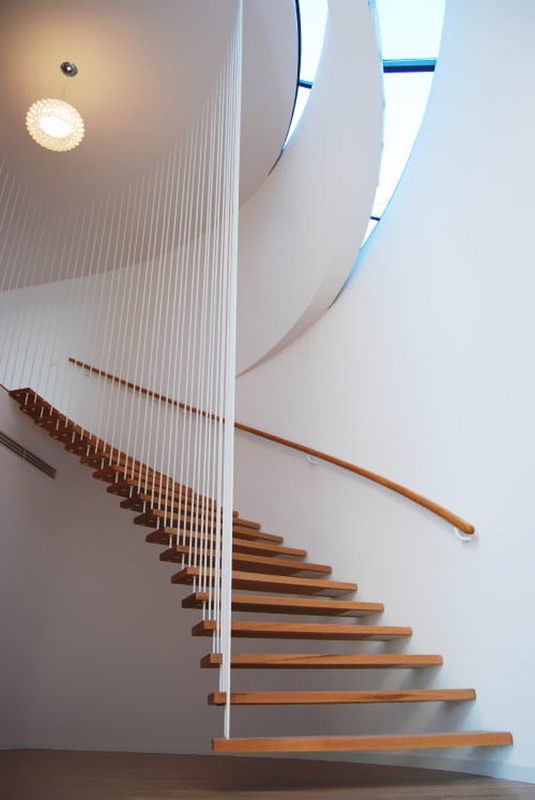 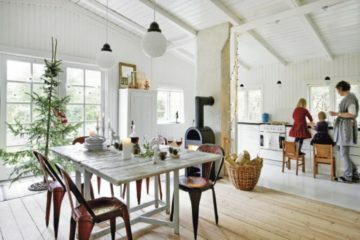 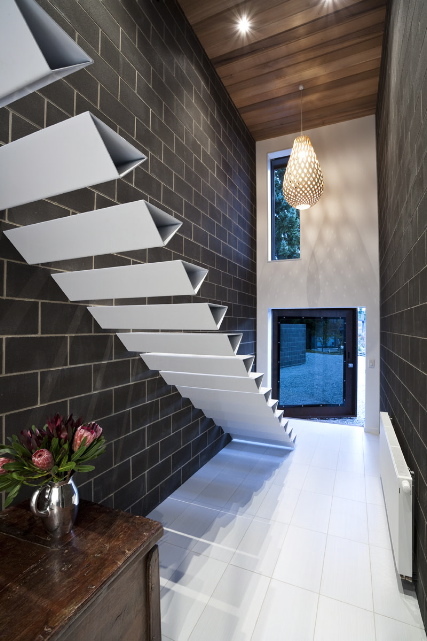 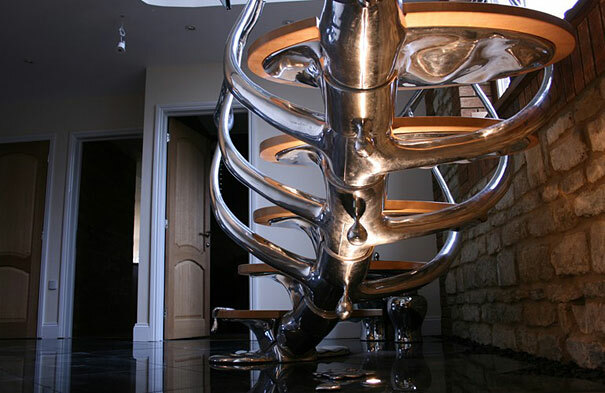 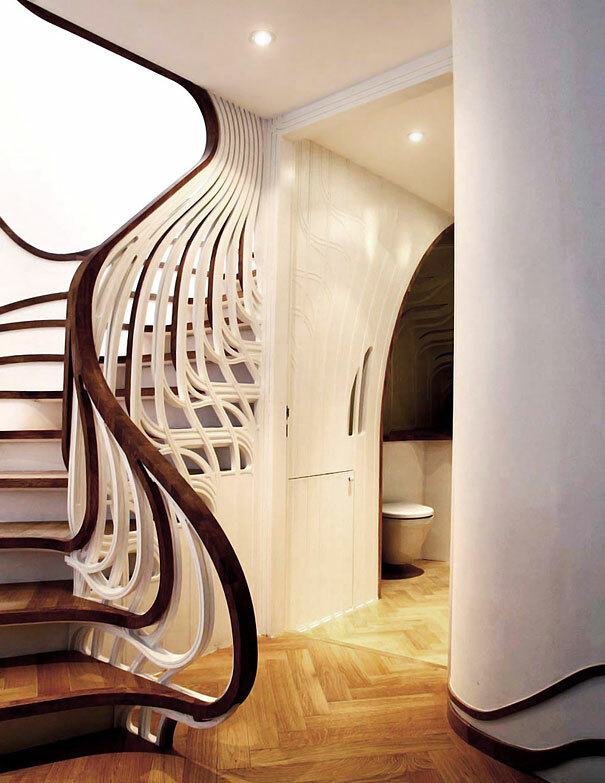 To help change your mind and how weird and creative stair designs can be, we’ve found these 30 unusual stairs which will open your eyes.Â A stairway, staircase, stairwell, flight of stairs, or simply stairs is a construction designed to bridge a large vertical distance by dividing it into smaller vertical distances, called steps. 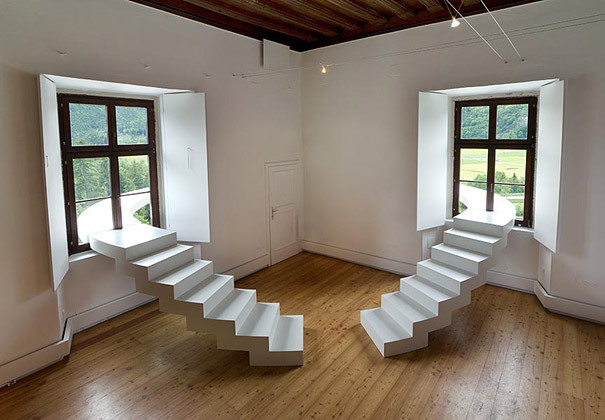 Stairs may be straight, round, or may consist of two or more straight pieces connected at angles. 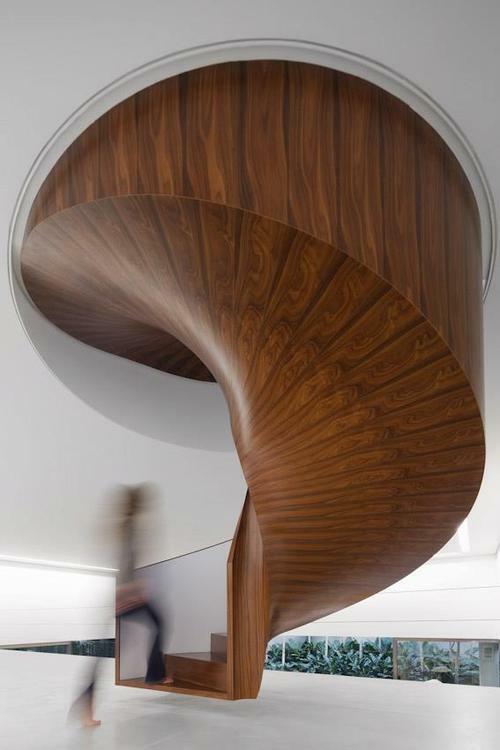 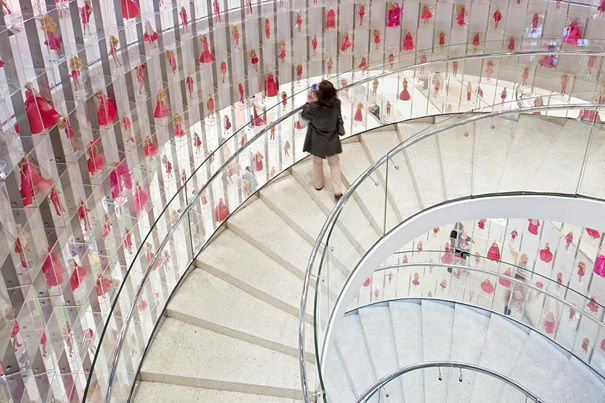 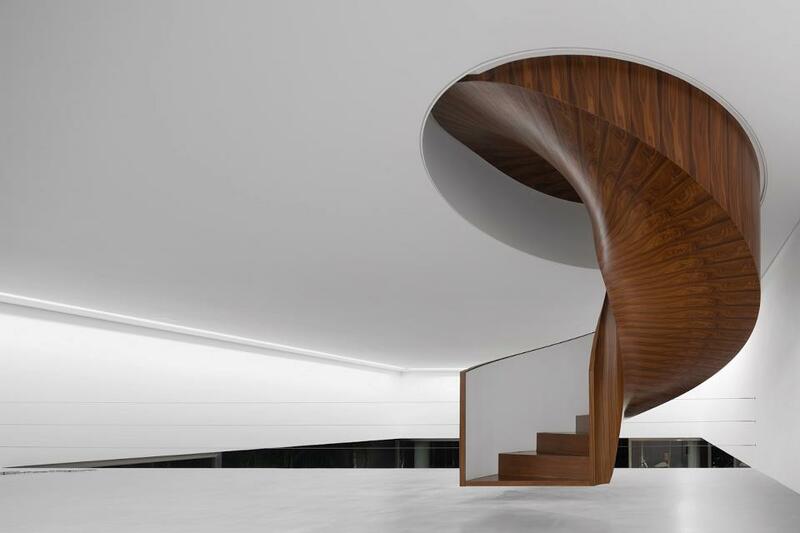 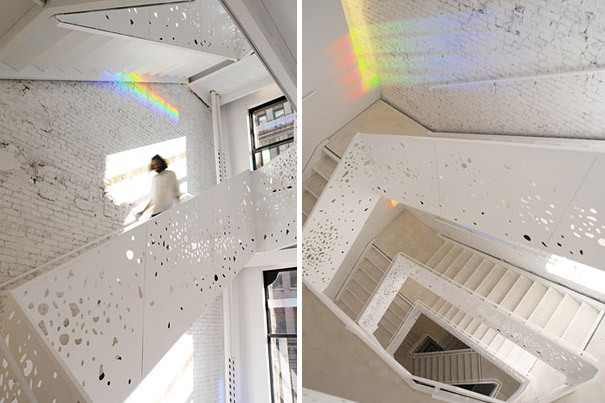 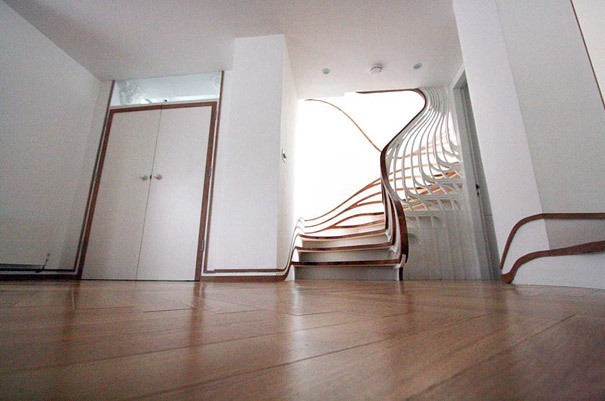 Biology inspired staircase situated in a South Korean medical centre via frameweb. 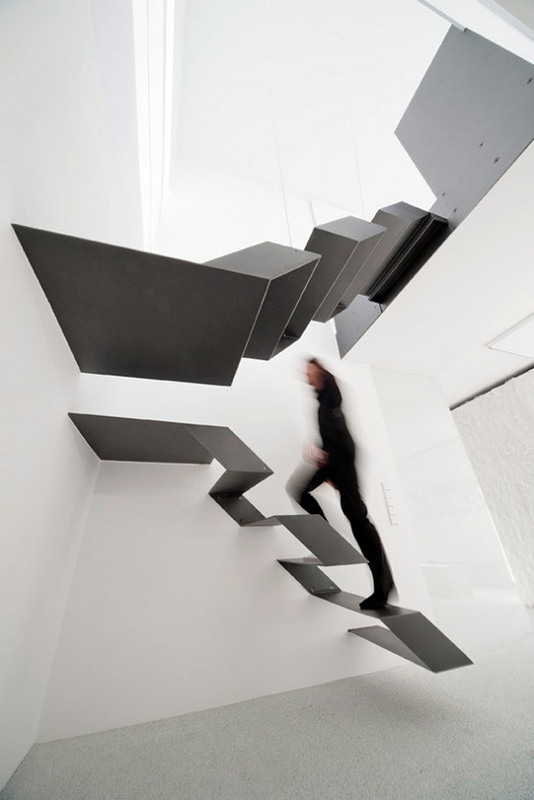 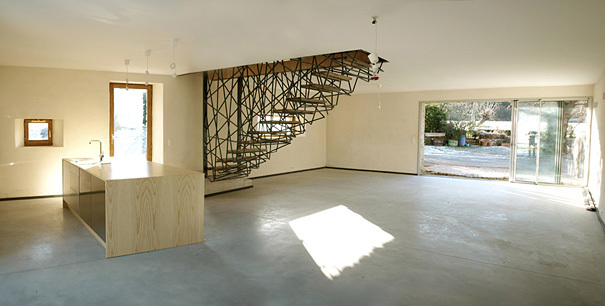 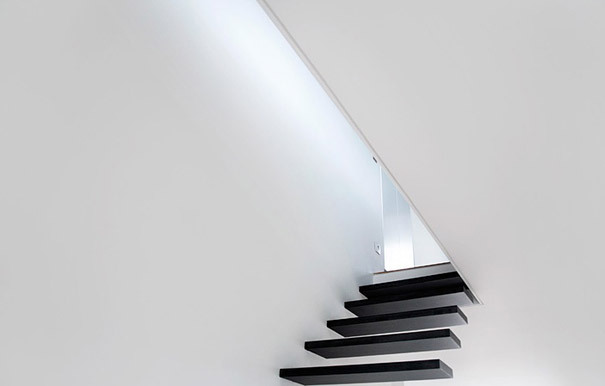 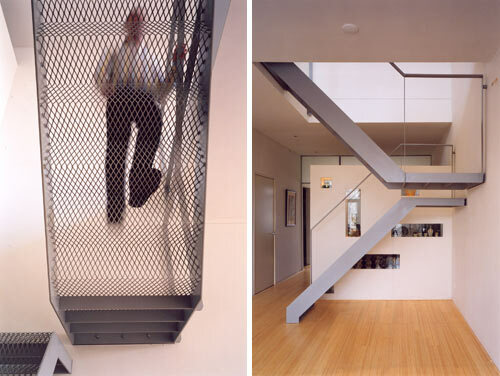 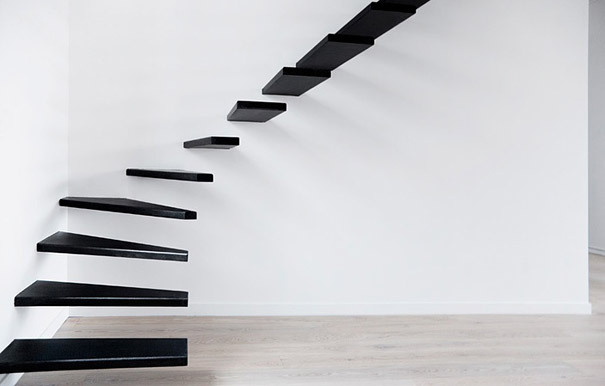 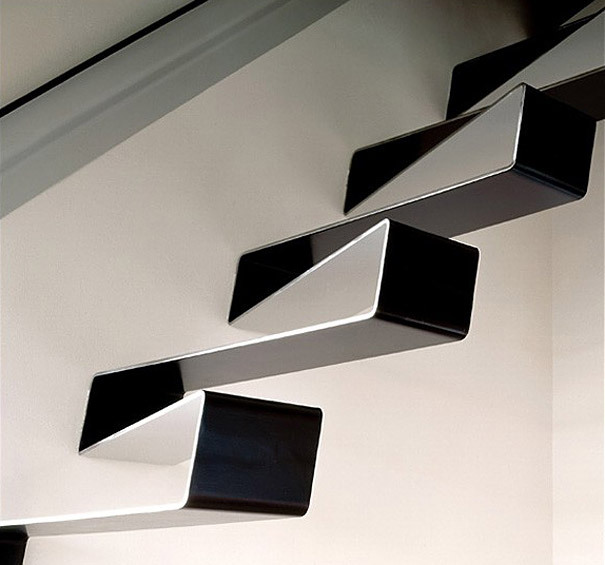 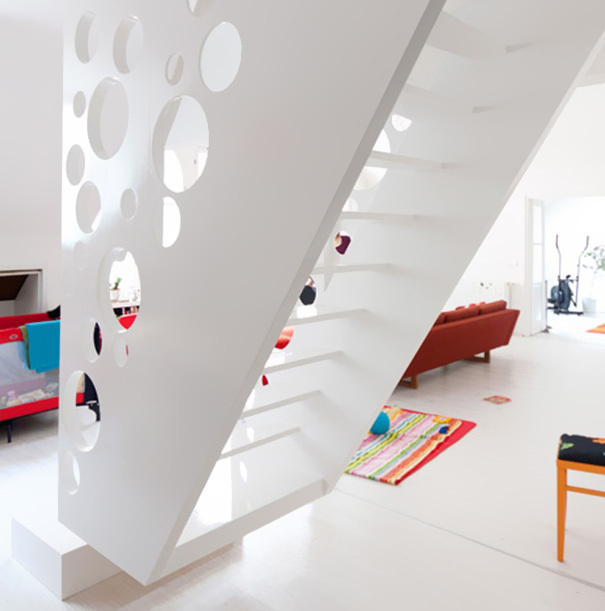 From Rowin Petersma, this divided staircase is made of expanded steel that lets the maximum amount of light shine through from the top floor of the apartment. 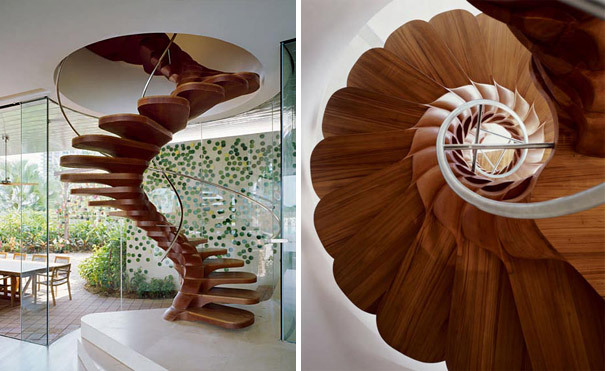 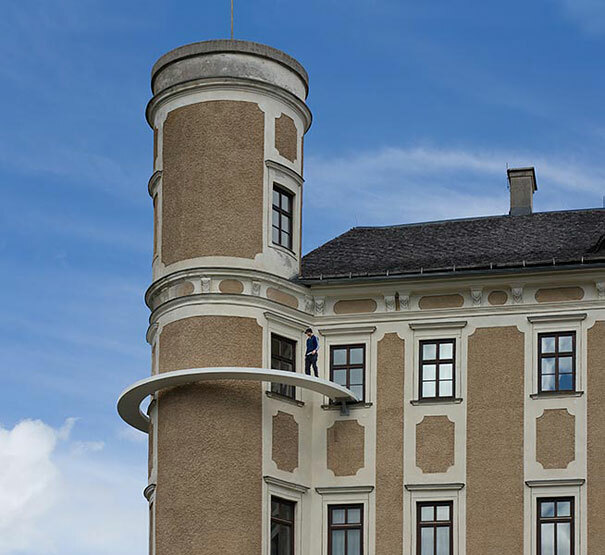 These unusually deep stairs, and the 4-stories of house surrounding them, come with the rather large price tag of $38 million. 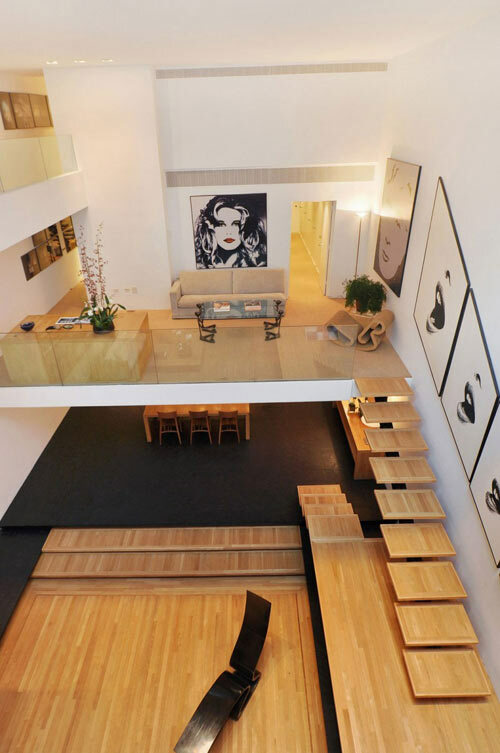 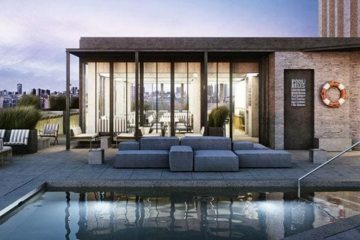 The iconic NYC property, designed by Paul Rudolph, has seen many a famous person inside including Halston and Gunter Sachs, who were both previous owners. 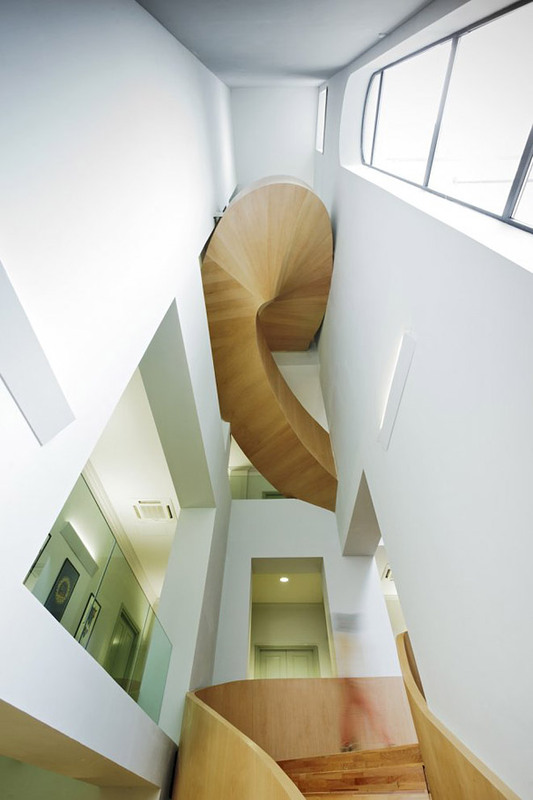 This small, uniquely shaped house calls for a small, uniquely shaped staircase and thatâ€™s just what Kyoto-based Alphaville Architects designed. 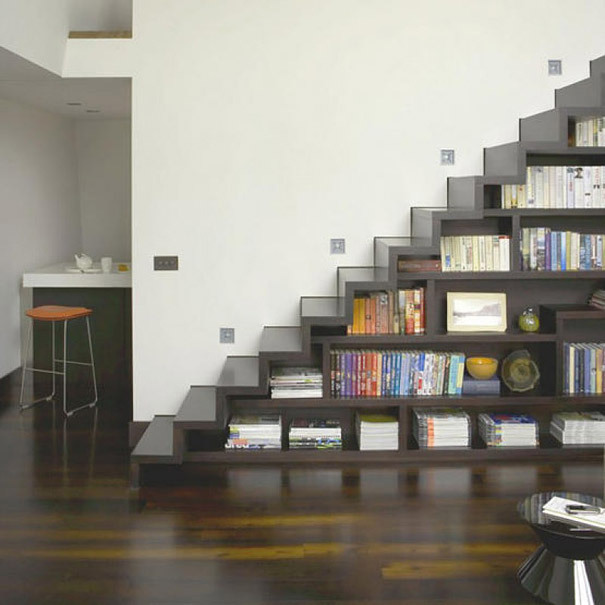 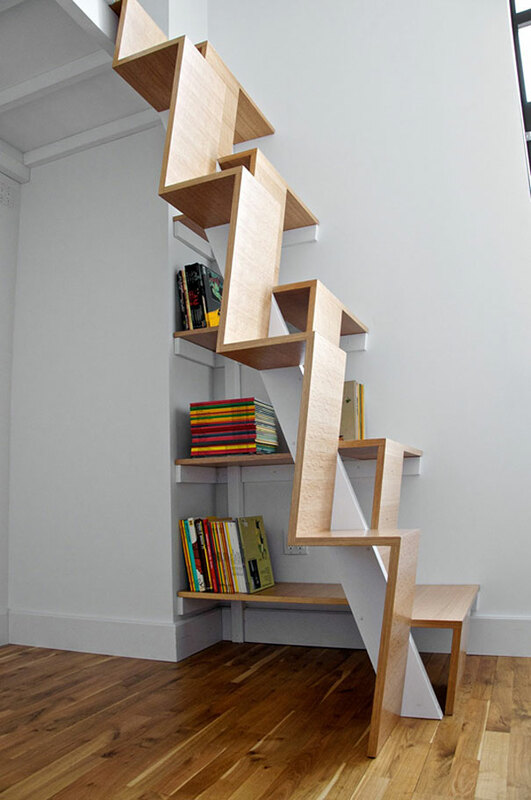 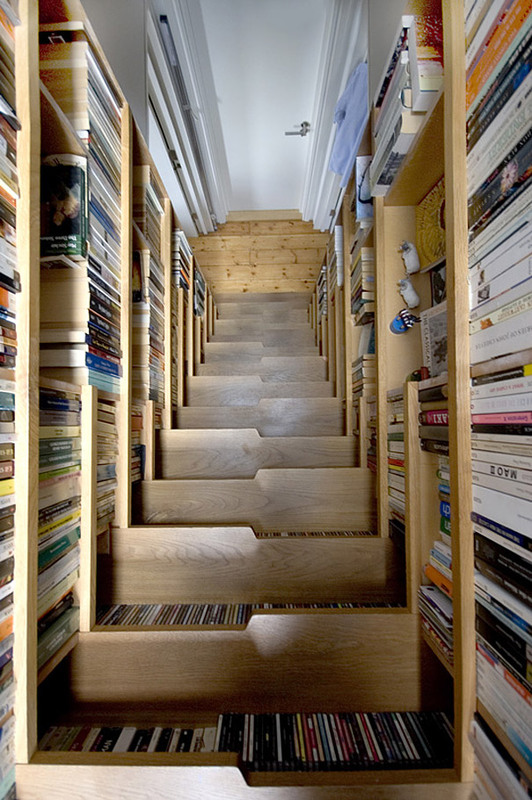 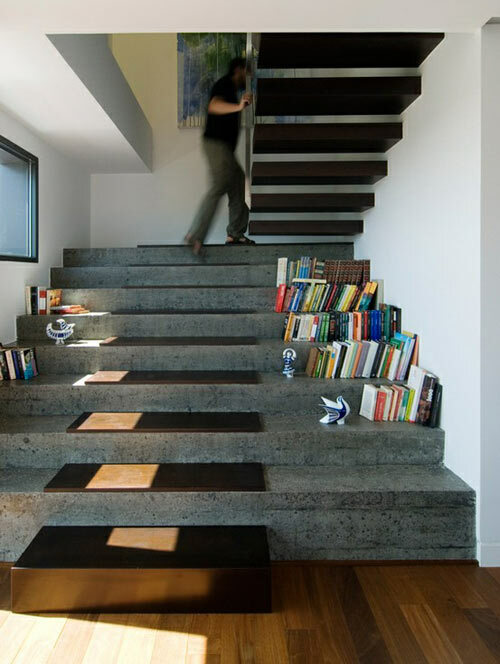 Designed by Castroferro Arquitectos, these extra-wide stone stairs with wood treads on top match the floating wood stairs above, all with enough room to store books on the sides. 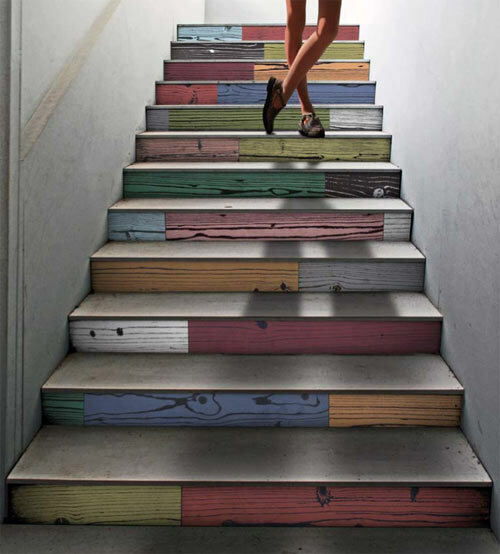 Italian company 14 Ora Italiana has a collection of wood grain porcelain tiles that were inspired by the works of Andy Warhol. 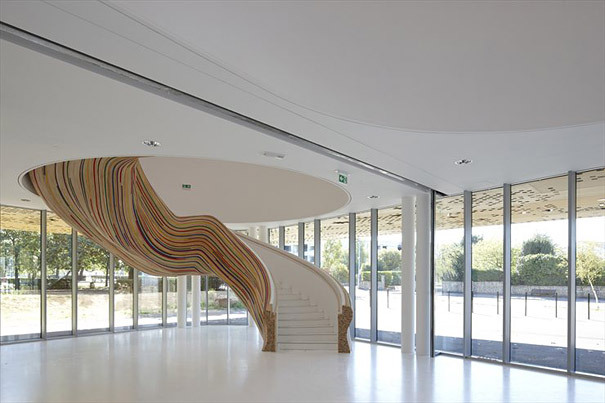 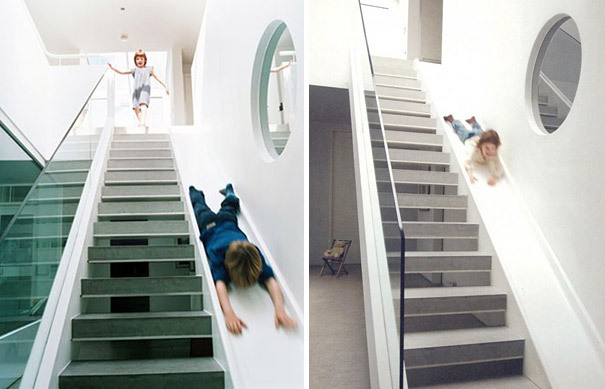 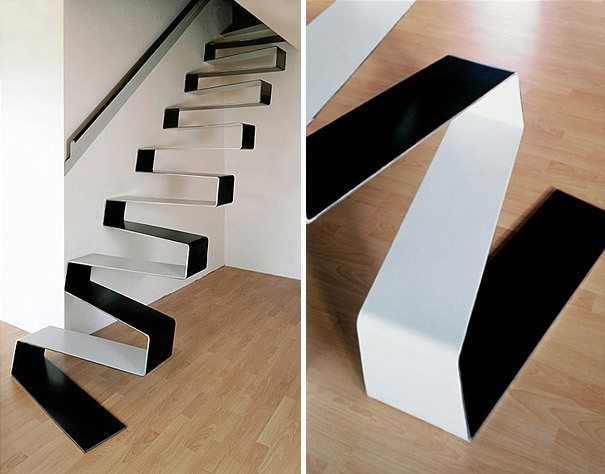 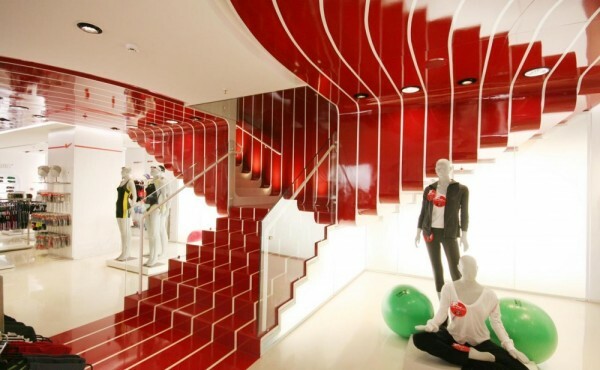 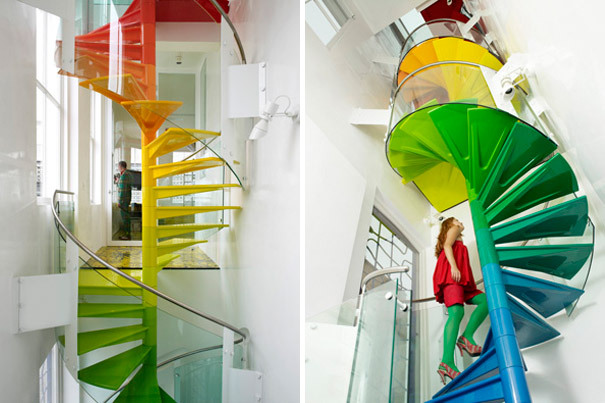 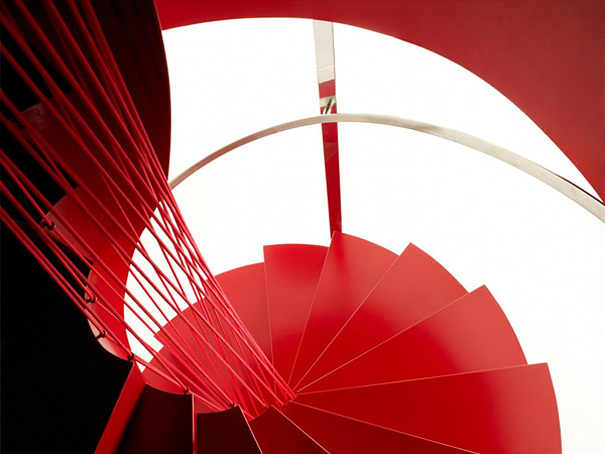 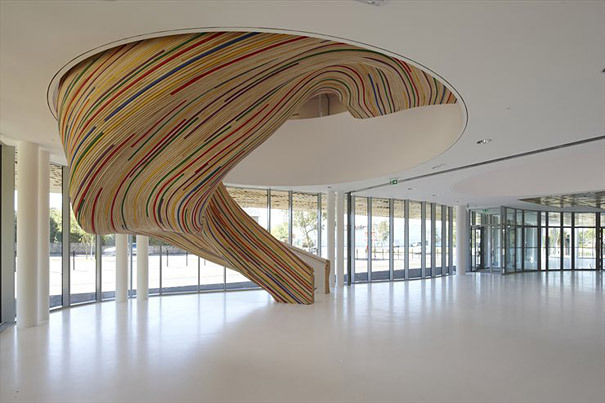 The Uonuon line comes in fourteen colors that are featured on this colorful and fun staircase.